Mealin's second win of the year, adding to his Oulton Park success, moves him to the top of the points table ahead of Fonseca and Jack Bartholomew. Championship leader Mealin became the first driver to secure multiple wins in 2015, claiming the victory in race three. The Manxman started third on the grid following a top three lock-out behind his two team-mates, and it took a last-lap move to secure the win. He slid down the inside of team-mate Fonseca with just a handful of corners to go to steal the win and the championship lead. Race one saw Mealin pick through the field from 13th to fourth at the flag, and he followed that up with a sixth-place finish after slipping back early on. Fonseca enjoyed a strong weekend, collecting a win, a second place and two fastest laps to jump from fifth to second in the title race. The Mexican opened his 2015 account with a comfortable victory in the first race of the weekend, hitting the front as rivals clashed. He managed the lead to take the win by over four seconds in tricky wet conditions. In the reverse-grid race two, Fonseca made his way to the cusp of the top three, before a mistake slipped him back to 10th, finally coming through in eighth place. With pole in race three, Fonseca led every lap except the last, when team-mate Mealin sneaked through. Starting the weekend seventh in the standings, Bartholomew fell to the back of the field in the first-lap melee of race one, but he drove a brilliant recovery to claim a top six finish. A top 10 finish followed in race two's wet conditions; the ninth-place finish a fine reward for his first forays in the wet. 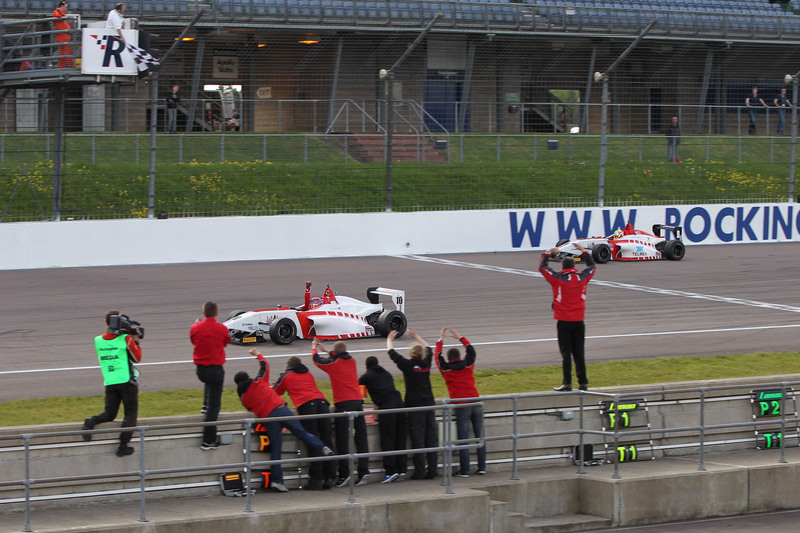 Early contact in race three denied him a maiden podium, but the 16-year-old was able to defend his fourth-place to pick up good points and ensure Lanan Racing left Rockingham occupying the top three spots of the Duo BRDC Formula 4 Championship standings. 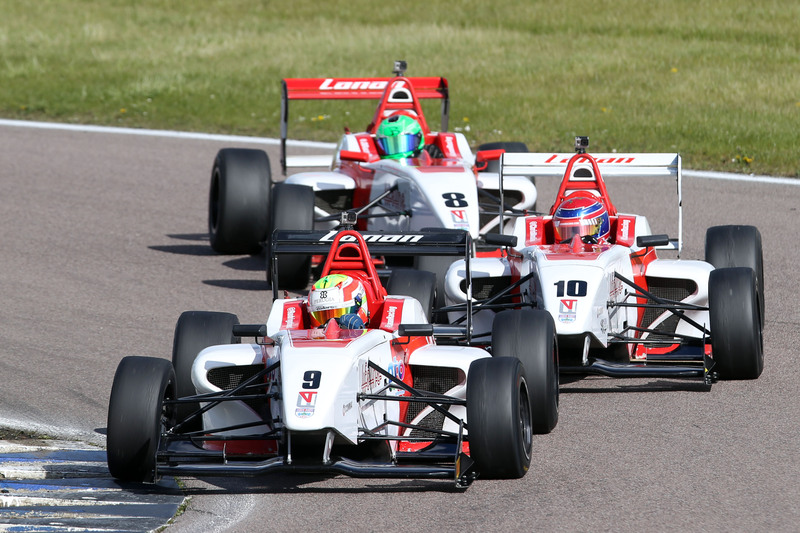 Duo BRDC Formula 4 heads to Silverstone next on 30-31 May for rounds seven, eight and nine.